How much do we know about pensions? With seemingly endless press attention, we’re becoming increasingly aware of the need to save for our future, post-retirement. However, while we may be aware of pensions, few truly understand their options and how their pension savings can benefit them. Because setting up a pension could be essential to ensuring your comfort in later life, it’s important that you know all of the facts. In 2015, figures from the Office for National Statistics (ONS) showed a significant rise in the number of workers who were not saving for their retirement because they couldn’t afford it. Increasing from 38% in 2010/11, 50% of people in 2014/15 did not contribute to a pension as a result of having a low income, not being in employment or still being in education. A lack of available cash was largely attributed to rising living costs, specifically the cost of rent. Clearly people prioritised how they spent their money — because their pension is further down the line, saving for it falls to the back of the queue. However, we witnessed significant changes to attitudes towards pensions in 2016. Data from True Potential shows that the proportion of people saving nothing into pension pots dropped from 39% in Q2 2016 to 35% in Q3. It’s clear young people’s attitudes are changing too; Q3 2016 saw the number of 24-34 year olds making no pension contributions falling to 19% — down from 26% in the previous quarter. While the number of people saving for their pensions has improved, a new issue is emerging. In True Potential’s survey, over half (57%) of over 55s said they hadn’t decided how they will access their savings. Clearly, education and knowledge will be key in the coming years to helping savers make informed decisions. How much will you need for your pension? It seems that there is a disparity in the amount we believe we need to enjoy a comfortable retirement and the reality. True Potential’s Savings Gap campaign has found that £23,000 is needed annually to live comfortably in retirement. What’s interesting to note is that despite these figures, UK people are on course to receive just £6,000 per year from their retirement fund. In fact, the average UK person’s monthly contribution to their pension pot is £325. Clearly, there is a divide between what we think we should be doing and what we’re actually doing or are able to do. As the survey further underlines, this can be attributed to the UK’s debt worries. Instead of putting spare cash towards our pensions, 42% of savers would use an unexpected windfall of £1,000 to pay off debts. Consider your outgoings — At retirement age, your outgoings will likely be significantly lower. This is because many people will have significantly reduced or paid off their mortgage, have grown-up children who no longer require their support and will no longer need to consider the expense of commuting. Factor in your State Pension — Your State Pension will effectively “top up” your retirement pot. Under the new flat-rate State Pension scheme for those retiring post April 2016, you’ll receive £7,582 per year (£151 per week). This means you may not have to save as much as you originally thought. Of course, you can only access your State Pension once you have reached the age threshold. New ages are expected to be announced in May 2017 and come into force from April 2028. The current State Pension age for men is 65 and between 60 and 65 for women. By 2020, this is expected to rise to 66 for both. In the late 2040s, estimates predict that it will rise to 69 and 70 by the early 2060s. Depending on the age you’re planning on retiring, it’s important to consider at what point your State Pension will become available to ensure you’re properly supported. The amount you’ll realistically save up is also dependant on your age. Obviously, the earlier you start saving, the longer you’ll have to generate a large pension savings pot. If you start your pension in later life, you may find yourself saving extra in order to make up lost time. Regardless of how much you save or when you start, it’s clear that saving for your retirement is very important. Being aware of the different pension types can help you make the right choices for your needs. A personal pension is a pension pot where you pay in an amount each month, which is then invested with the aim of growing the fund over time before you retire. You can decide where and how the money is invested to grow. The maximum you can invest each year is £40,000, however this is dependent upon your earnings. The current age to withdraw your funds is 55 years. When you retire, you can use the amount to purchase an annuity, which is a regular monthly payment that’s paid until you die, or take an income from this by using Drawdown. New rules brought into play in April 2015 mean that we can also withdraw up to 25% of our pension pot, tax free, whether this be in one lump sum or multiple smaller withdrawals. A workplace pension is a retirement investment scheme that is organised through your employer. You’ll pay a portion of your wages each month into the pension pot, with your employer and the government also contributing. Currently, the minimum contribution is 2% of your earnings — 0.8% from you, 1% from your employer and 0.2% as tax relief. This will increase from April 2018 to 5% of your earnings (2.4% from you, 2% from your employer and 0.6% as tax relief). From April 2019, this will increase again to 8% of your earnings (4% from you, 3% from your employer and 1% as tax relief). To be automatically enrolled, you must be over 22, under the State Pension age, not currently in a scheme and earn over £8,105 a year. Those who earn less or work on a part-time basis can opt in too, while you can also choose to opt out. 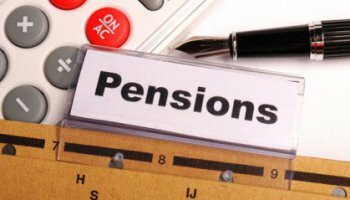 By 2018, all employers must offer auto-enrolment to a workplace pension scheme or access to an equivalent scheme such as a group personal pension. Auto-enrolment makes it easy to join a workplace pension scheme. Joining isn’t mandatory; your employer will ask if you want to contribute to your workplace pension scheme. You’ll receive contributions from your employer and enjoy tax relief from the government. Defined contribution pensions are a type of personal or workplace pension. The money paid in that can come from either the employer, employee or both is invested by your pension provider. The amount that is paid out is dependent on how much is paid in and how well the investment performs. Defined benefit pensions are always workplace pensions. The amount paid to you upon retirement is dependent on your salary, the time you’ve worked for your employer and the rules of your pension scheme. This guarantees a certain amount once you retire. One Response to How much do we know about pensions? I remember my dad impressing onto me the importance in starting to save into a pension and so I did when I was 19 and got offered a workplace pension. Although I really need to accelerate my payments to really secure my retirement (I might generate an OK pension but its far from certain), I have over 30 years before my state retirement age (probably closer to 40 by the time I get there) and I’ve started separately investing too to complement my workplace pension.